The public's reception to Bethesda's Fallout 76 B.E.T.A has been mixed, to say the least. Most seem to agree that the game is entertaining enough, but others have faced numerous bugs, glitches, and even encountered speed hackers. However, unlike other multiplayer games, Fallout 76's speed hacking problem wasn't a result of third-party cheating software. Rather, it came from a long-standing issue with Bethesda's games: their engine. Though the Creation Engine has received several improvements over time, it also has a lot of very old problems; its buggy physics engine being one of the most well-known. Put simply, the Creation Engine does not know how to deal with players exceeding 60 FPS. If you've ever unlocked the framerate in, say, Skyrim through .ini file editing, you most likely know what we're talking about. Wolves will fly around the map at light speed, objects will soar from shelves and tables when you enter an inn, and riding a horse is a near-impossible task. Some mods fix this problem, but since Fallout 76 is a multiplayer-only title, that's not an option for now. As such, Bethesda has killed the effectiveness of .ini file editing and capped the framerate at 63, according to PC Gamer. The outlet tried a few different methods to get around this -- including setting said .ini file to "read only" -- but nothing seemed to work. Frankly, Bethesda's decision is unsurprising. Fixing their physics engine so far into the Creation Engine's lifespan is probably an expensive, if not impossible process. If I were to speculate, I'd say we won't see any changes in this regard until Bethesda creates an entirely new engine, most likely with the release of Starfield or The Elder Scrolls 6. 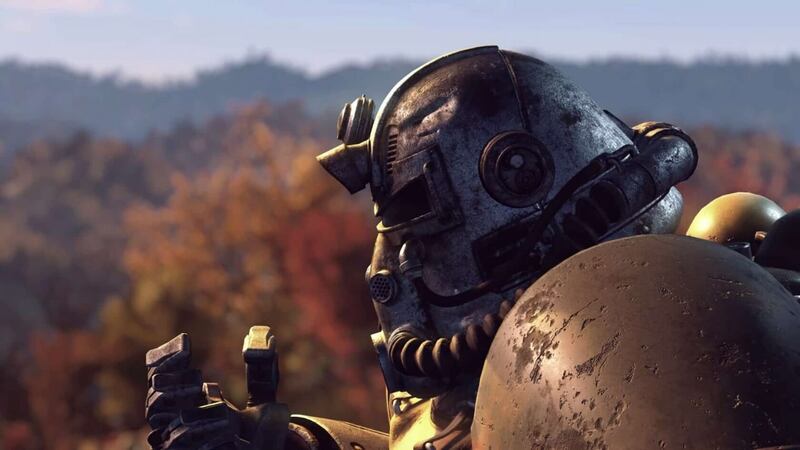 In addition to Fallout 76's beta framerate being locked, the FOV has also reportedly been capped. In third person, that means you'll be restricted to a FOV of 80, while the first-person FOV can't go higher than 90. It's unclear whether or not Bethesda plans to remove these restrictions before Fallout 76's full release, but given the company's track record with FPS-related issues, it's probably best not to get your hopes up.